Rachael Winfree is a Professor in the Department of Ecology, Evolution and Natural Resources at Rutgers University, New Brunswick. In her work she uses her training as a community ecologist to develop novel and quantitatively rigorous approaches to answering ecological questions at larger (landscape to regional) scales. Her current research interests include (1) the relationship between biodiversity and ecosystem services, (2) biodiversity measurement, (3) plant-pollinator networks, and (4) pollinator conservation and restoration. Her work has been funded primarily by the National Science Foundation (NSF) and the United States Department of Agriculture (USDA), and has been published in leading scientific journals including Science, Proceedings of the National Academy of Sciences (PNAS), Ecology Letters, Ecology, and Proceedings of the Royal Society of London. Rachael’s research has also been featured in the popular media such as Nature (commentary), Science (Perspectives), Audubon magazine, National Wildlife magazine, Science News, The Scientist, and National Public Radio (NPR). Rachael received her Ph.D. in Ecology & Evolutionary Biology from Princeton University in 2001 and her B.A. from Dartmouth College in 1990. Rachael serves on the Board of Directors of the Xerces Society. Mark is interested in research linking biodiversity and ecosystem function, and has previously addressed these questions at the intraspecific genetic level, including in the context of plant-pollinator interactions. In the Winfree lab, he does theoretical ecology (e.g. using the Price equation to examine the relative importance of species richness for real-world ecosystem services) and field ecology (e.g. pollinator collections from wildflowers and single-visit experiments to assess different species’ pollination efficiency). He received his Ph.D from the University of Tennessee in 2012. James is an ecological modeler who develops and analyzes mathematical and statistical models in collaboration with various members of the lab. James received his Ph.D from Cornell University in 2009. C olleen Smith is a fourth-year Ph.D student, funded by a Rutgers Presidential Fellowship. Colleen is interested in understanding how species’ life-history traits and the environment interact to influence patterns of biodiversity, including interactions between plants and pollinators. She received her undergraduate degree in Ecology and Evolutionary Biology from the University of Michigan in 2013. M ichael Roswell is a fourth-year Ph.D student funded by an NSF Graduate Research Fellowship and a Rutgers Excellence Fellowship. 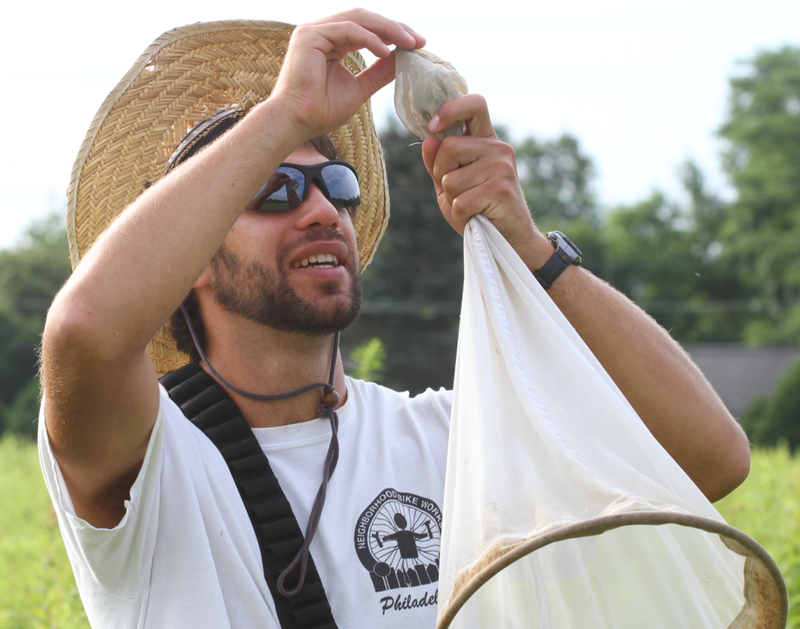 Michael is interested in how the specifics of plant-pollinator interactions inform both ecological networks, and restoration and management. He graduated from Swarthmore College in 2011 with majors in Biology and Linguistics. Lucia Weinman is a first-year Ph.D student funded by Rutgers Presidential and EOAS Fellowships. She graduated from Columbia University in 2014 with a major in Environmental Biology. Dylan is a first year PhD student supported by Rutgers Excellence and EOAS Fellowships. Dylan is interested in the intersections of biodiversity, community composition, and ecosystem function, especially in the contexts of conservation and land-use change. He holds a BS in environmental science and an MS in biology. Casey is a senior at Rutgers and an undergraduate researcher in the lab, funded by an NSF REU Supplement Grant. He is interested in how forest cover and fragmentation affect bee abundance and pollination provided to wildflowers. He is preparing a poster for the 2019 meeting of the Mid-Alantic Chpater of ESA. Kiara is a senior at Rutgers and an undergraduate researcher in the lab, funded by an NSF REU Supplement Grant. She is interested in how bee abundance, richness, and foraging behavior affect plant reproduction. She is preparing a poster for the 2019 meeting of the Mid-Alantic Chpater of ESA. Alex is a junior at Rutgers and an undergraduate researcher in the lab, funded by an NSF REU Supplement Grant. 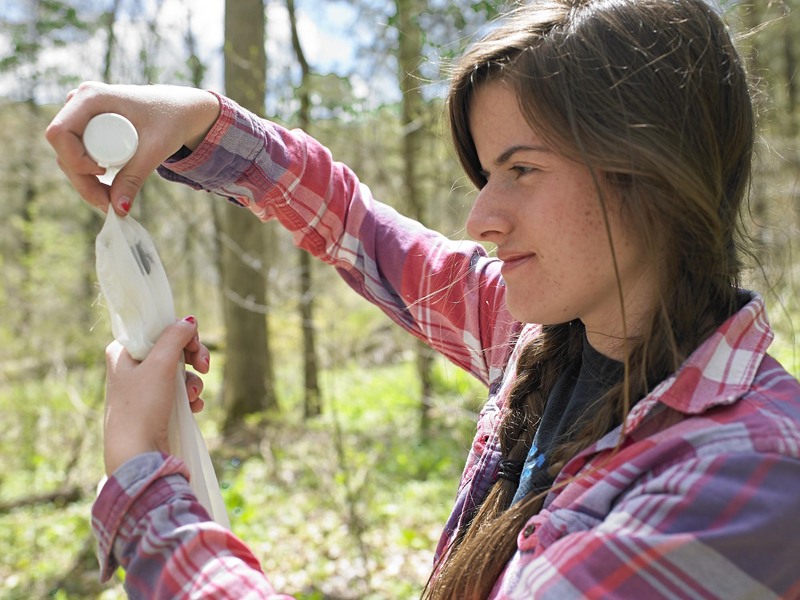 She is interested in plant-pollinator interactions and conservation. She is preparing a poster for the 2019 meeting of the Mid-Alantic Chpater of ESA.